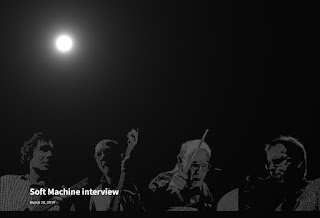 Klemen Breznikar intervista i Soft Machine (non più Legacy ormai da qualche annetto) per la sua rivista It’s Psychedelic Baby, e tra le altre cose racoglie il parere dei musicisti sul nuovo/vecchio nome. Etheridge, per esempio, dice: "We should have dropped the Legacy name much earlier. Hugh Hopper was particularly against calling ourselves Soft Machine as he thought Robert Wyatt would be offended… But really a band consisting of Hugh Hopper, Elton Dean, John Marshall and myself had every right to call itself Soft Machine. Since we have dropped the Legacy there has been so much more clarity and I feel we are more connected and enlivened… So many people thought Soft Machine Legacy was a tribute band!"